At 'Triple A' Radio Stations, A Blurred Line Between Discovery And Promotion Created as alternatives to the hitmaking monoliths of commercial radio, AAA stations have pushed artists like Lorde into the mainstream. Now, they're facing pressure to pick tomorrow's hits. 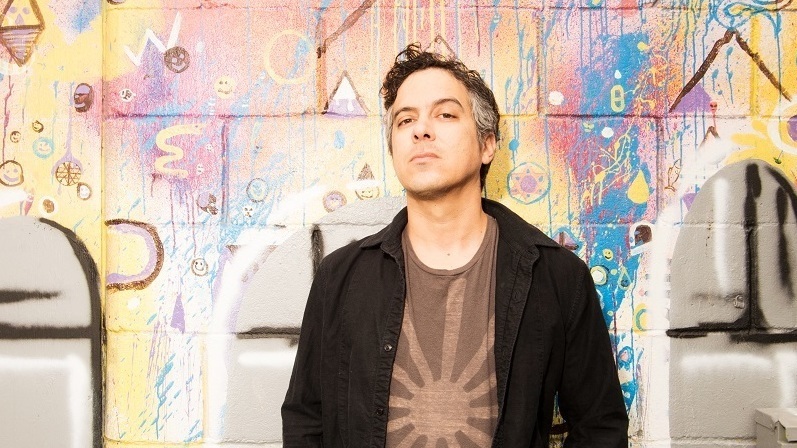 Musician M. Ward says he owes a lot of his success to being played on "triple A" radio stations. "Triple A" radio has come a long way since its birth in 1990s. The programming format, short for "adult album alternative," was created as to be just that: a different listening option for boomers tired of hit-obsessed commercial radio. The stations were all a little different: Some played more folk and Americana, others leaned toward indie and pop, several featured programs showcasing local and independent artists. "We are the last bastion of true music discovery on FM radio," says Mat Bates, Program Director at San Francisco's KFOG, a commercial AAA station. Trina Tombrink, vice president of promotion and artist development at Sony's RED music division, says she often used to hear AAA described as "crunchy." "The Birkenstock format, you know, the stoner format," she says. "You could actually get a record played that wasn't necessarily your traditional radio hit." While the format still retains some of the old crunchy vibe, AAA has also helped to break an increasing number of artists who went on to the mainstream — from Dave Matthews to The Black Keys to Lorde. Her 2013 smash, "Royals," was already a hit in Lorde's native New Zealand — but Tombrink, who was then with the Universal-owned Republic Records, used AAA to "test market" the songs in the US. "There was always the plan that we would cross it to pop," Tombrink says. "And we also knew there were at least two other songs on the album that were even more pop friendly from a marketing standpoint." "Royals" debuted on Billboard's Adult Alternative Songs chart almost immediately after U.S. release. Less than a month later, the song crossed over to the Hot 100, eventually reaching No. 1. Radio consultant Paul Marszalek says this kind of leap can make a huge difference in an artist's career: "The entire universe of the AAA audience is in the low millions. You start going to Top 40 and you're now into tens of millions." In short, AAA has become a tastemaker. Tombrink says that means it gets a lot of attention from record labels: "There is probably more music serviced to AAA than any other format." There are now more than 100 AAA stations nationwide, evenly split between commercial and non-commercial, including some NPR member stations. Kevin Rutherford, a chart manager at Billboard, keeps an eye on what these stations are playing and how often. The charts, he points out, do not distinguish between plays at different times of day or in different markets: "So even if a song gets played once in Akron, gets played once in Los Angeles, it has the same weight. It just doesn't matter when, whether it's 3 a.m. or 3 p.m."
For Paul Marszalek , that raises a question: When a song is rising on Billboard's AAA chart, does that mean a lot of stations are playing it — or could it be just a few, playing it over and over? He says the latter certainly happens some of the time, occasionally taking a form that's been dubbed "lunar rotation." "What you can immediately see is several stations that are not playing it anytime the sun is up. Everyone's asleep; there's no audience, or very little audience," he says. "A lot of overnight spins, not a great reputation, and now I know I've got a record here that's the equivalent of something that fell off the back of a truck." Marszalek says playing a song in the middle of the night to rack up spins that will push it up the chart is rare, but that he definitely sees it in the monitoring data he reads every day. Non-commercial stations are less likely to do that, according to Jim McGuinn, program director at Minnesota Public Radio's KCMP, The Current. "The non-commercial stations are much more freewheeling, willing to take chances and play a wider variety of sounds and styles, and dig a little deeper into albums and artists," he says. Even so, maintaining a commitment to eclecticism has become harder as AAA stations find themselves competing for listeners on and off the dial. NPR Music recently launched Slingshot, a collaboration with a dozen and a half member stations to raise the profiles of artists they deem worthy of support and plant their own flags as AAA tastemakers. Kevin Rutherford says he pays closer attention to stations that help him identify songs with the most pop potential – which usually means the ones with tighter, more repetitive playlists. "At the end of the day, we don't want a station to be a little too oddball, a little too out there," he says. Meanwhile, Trina Tombrink says, the stations themselves are paying attention to the competition on other platforms, looking for clues about which artists will break next. "Streaming and Shazams, which are kind of like a modern request line, are far more of our metrics that we talk about in our conversations with radio, and the really progressive programmers understand those metrics and how important it is for them to be looking at them in their own marketplace," she says. Mat Bates at KFOG says he can't ignore what's trending. As he puts it, "We aim to mirror the interests of our audience rather than dictate to them what they should be interested in." But there are those who still cling to the idea that AAA should be more than an alternative Top 40. Musician M. Ward says he owes a lot of his success to AAA, a format that harkens back to the radio he grew up with. "I grew up right outside of Los Angeles, and so we got every kind of station that you can imagine, all these different music genres," Ward says. "My vision of music is wrapped up in those memories: You switched the dial and it becomes something else entirely."